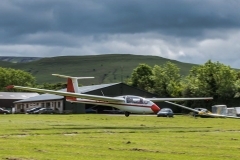 A Gliding Club and Flying School in the Brecon Beacons National Park. 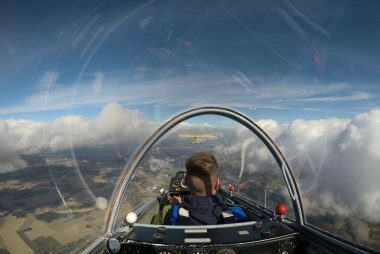 If you've never flown in a glider before this is the place to do it! 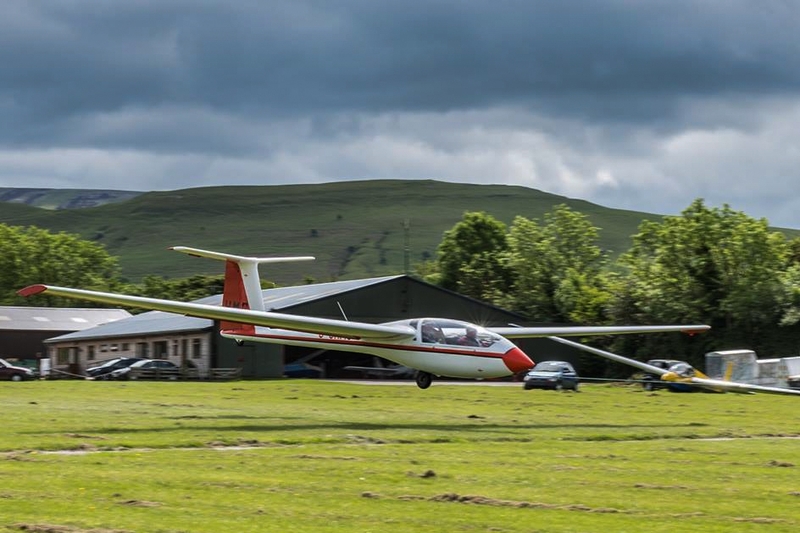 Fly with an experienced glider pilot high above the stunning scenery of the Brecon Beacons National Park. 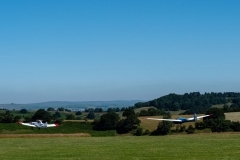 Around 400 people a year have air experience flights at Talgarth. Thinking About Learning To Glide. We’ve been helping people from all backgrounds get into this exhilarating and affordable form of aviation for over 30 years. One of the most stunning soaring locations in the UK. 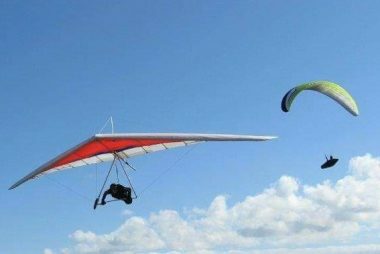 Many of our pilots are from Hang Gliding, Paragliding and Power/GA backgrounds. You'll have a huge head-start over 'non-pilots' and probably be amazed at what we do and that the costs can be surprisingly low. 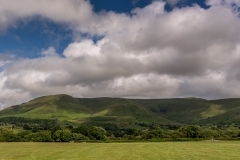 Talgarth airfield is home to a small and very active gliding club, 970 feet above sea level in the stunning scenery of the Black Mountains in the Brecon Beacons National Park. We get soarable conditions on most days and our average flight times are among the longest in the UK. For the experienced pilot we can offer some of the best and most spectacular ridge runs in the UK. And wave flying in almost any wind direction. There are a variety of cross country options to suite the ambitions of every level of XC pilot. Very few airspace restrictions and beautiful flying to the north and Snowdonia, the ‘Marches’ up through the welsh border counties and east into the midlands, the Cotswolds, and beyond. 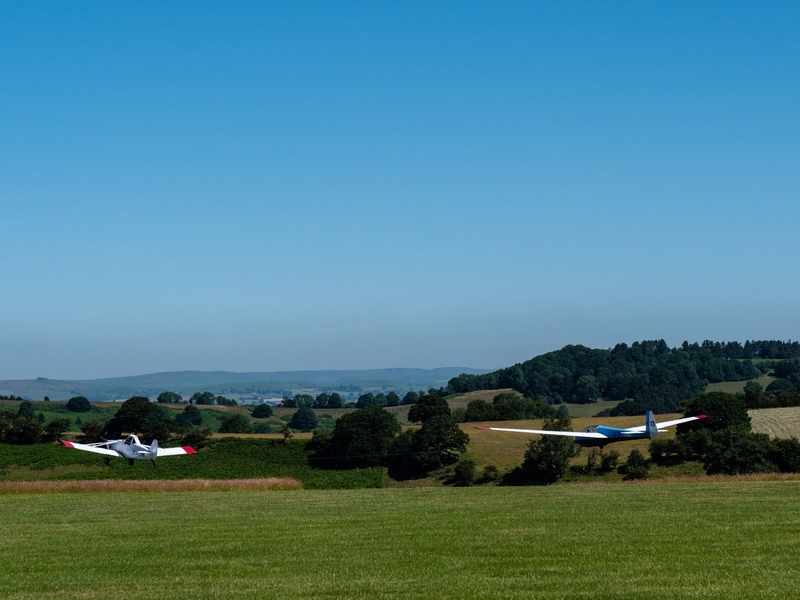 For the less experienced or those new to gliding, we offer training at all levels, from thermal to advanced wave and hill soaring. Pre-solo pilots will benefit hugely from the longer training flights that aerotow and ridge flying give us. Enabling flying skills to develop more quickly, and consolidate progress. 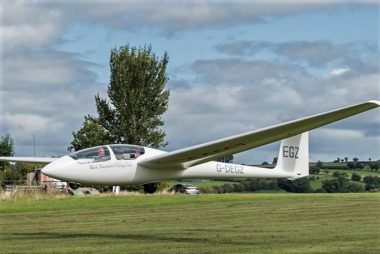 Like most gliding clubs instruction is free to members. We have a total of over 100km of ridges. Sections/runs are available in most wind directions. From Hay Bluff down into the Brecon Beacons, and beyond into the Carmarthen Fans. The Cwmdu valley down to Crickhowell. The ‘Pandy Ridge’ from Hay Bluff down to Abergavenny and even beyond towards Newport. For wave flying, NW winds often give wave over the Wye valley. Easterly wave occurs in the Cwmdu valley. Higher climbs are possible in SW wave over Brecon, Llangorse and sometimes, when in phase, in the Golden Valley to diamond heights. The club height record is 31500 feet. The club fleet consists of three ASK13s. For single seat club flying we have one SZD-51 Junior, one K6CR and a very nice ASW19. We have two Pawnee tugs, one kept in reserve and also access to a lovely Eurofox. The airfield is now open for flying with instruction available seven days a week till the end of October 2019.